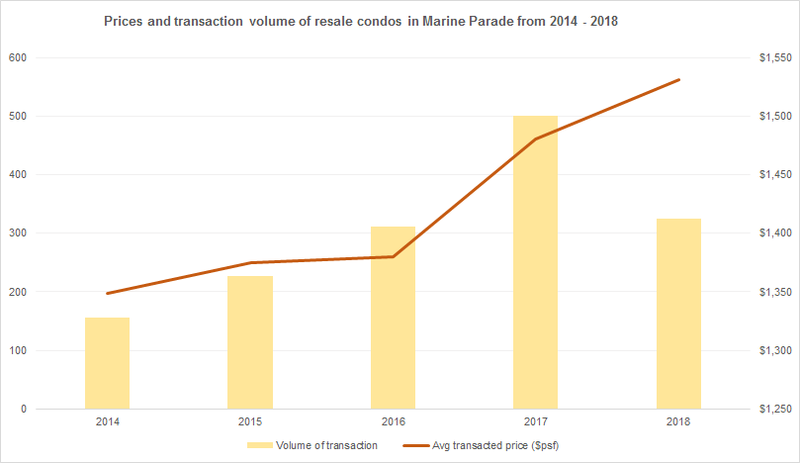 Prices of resale condos in Marine Parade continue to hold steady despite higher Additional Buyer’s Stamp Duty (ABSD) rates from last year’s property cooling measures. This can be observed in the continuous uptrend of average transacted prices for non-landed private residential properties within the planning area despite the sharp decline in transaction volume. Based on URA data, transaction volume in the area fell by 54% in 2018 from the previous year. In comparison, average transacted prices for private homes in the area rose by 3% within the same period. The cooling measures, which included higher ABSD rates and tighter loan-to-value (LTV) limits, was intended to curb the exuberance in the housing market. Effective July 6, 2018, Singaporeans buying a second residential property must pay an additional 12% ABSD on the property value, up from the previous 7%. Permanent residents (PRs) buying a second home now pay 15% compared to the previous 10%. Meanwhile, foreign buyers without permanent residency status must fork out 20%, instead of 15%. The measures came as a shock, arriving just as property developers have replenished their land banks amid a flurry of en bloc activities that occured throughout 2017 and into the first half of 2018 in anticipation of blockbuster sales. 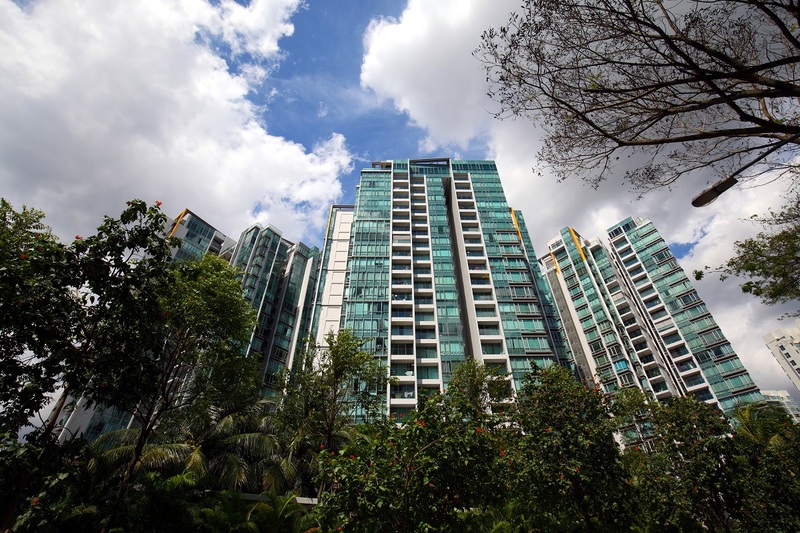 Within the Marine Parade area itself, there were seven en bloc transactions that took place between July 2017 and July 2018.